Tracing back, from the Opium War broke out in 1840 to the 1930's, many foreign businesses snatched the prime area in Shanghai, to establish concessions, banks, headquarters, consul houses and so on. 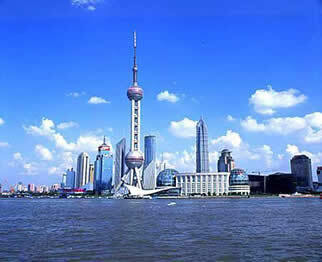 Hence,Shanghai, a small seaside town one hundred years ago, became the largest city in Asia. It also earned the reputation of "The Oriental Wall Street". 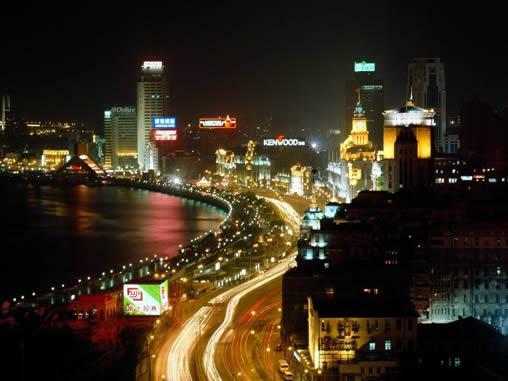 Even today, visitors can still feel the prosperity of the old Shanghai, when looking at those old buildings. 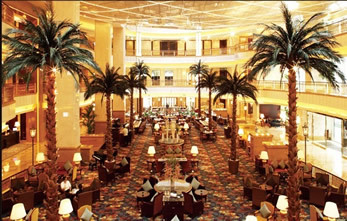 The Dongfeng Restaurant was a famous meeting place for British. This building was a typical old British style classic structure, it has in total six levels. There were two watch towers on top, interior was magnificently decorated. There was a spacious bar on the ground floor, a 110.7-feet-long bar counter, longest of its kind in Asia at that time, which made this bar extremely popular. You can imagine the scene that the richest businessmen gathered here for social engagement. 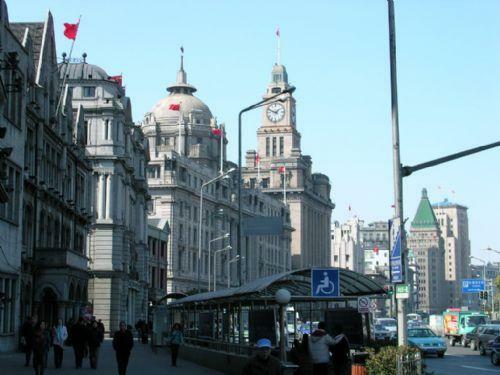 Adjacent to the Huifeng Bank building is the Customs Building of Shanghai. It was built in 1927. The classic building in the style of the 19th century is rare in the world. The huge clock on the building could had been seen from all sides. The melodious sound of the clock could been heard from several miles away. 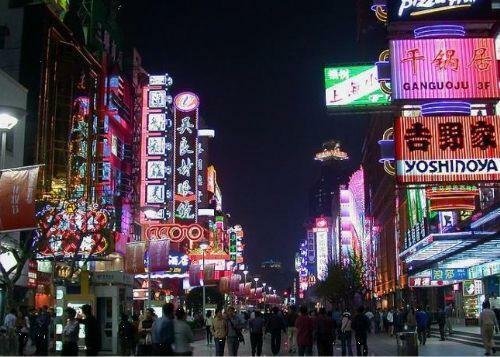 Its time synchronizes with Beijing Time perfectly. The two buildings at the end of Nanjing Road East belong to the well-known Peace Hotel, built in 1906, and initially named Huizhong Hotel. In the style of European Renaissance, it is the oldest hotel in Shanghai. The building looks solemn, elegant, and unique from distance. It really is an architectural masterpiece. The Shaxun Mansion was built in 1928. This steeled-framed "A" shape building is in typical Chicago Architectural style. The famous 19-meter-high pyramid on the top of the building are made from oblique tile, which was made of purple copper. The owner of Shaxun Mansion used it to show off his wealth. Various ornaments and furniture from nine different countries were used to decorate the mansion. It became a post where adventurers from all over the world gathered. It was also travelers' first choice to spend their night. Those who had stayed here said that its atmosphere and liveliness were unforgettable.